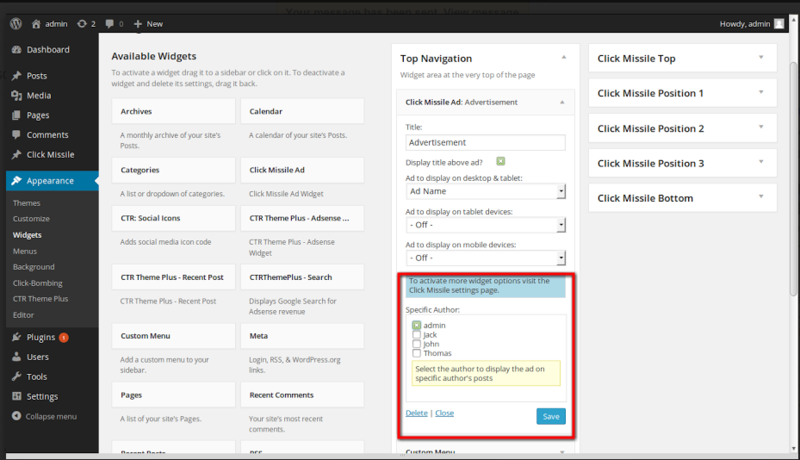 With this release, you can now display ads on specific author’s posts. 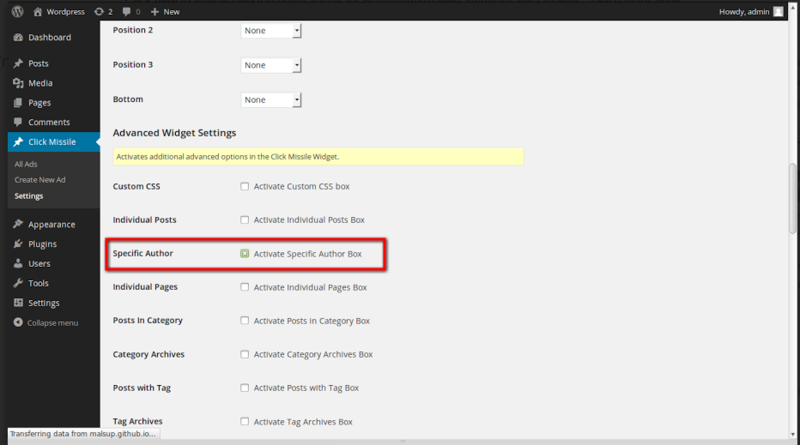 For this, enable the setting for Specific Author. After you do that, Click Missile widget will display the list of users from which you can choose a particular author(s). Please login to your Members Area to download the latest version. If you face any problems, please contact us via support forum.